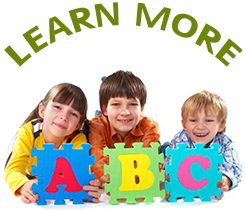 Since 1991, New Generation Learning Center, Inc. has provided child care services for kids in the New Berlin and surrounding areas. We provide a warm and caring environment for children 1 week to 12 years of age. Our staff has over 100 years of combined teaching experience and is trained in CPR, first aid, shaken baby and SIDS. We strive to nurture each child’s needs on an individual basis because we understand that not all children learn at the same pace academically and socially. At New Generation Learning Center in New Berlin, Wisconsin, our founders were inspired to start our company after they had their own children and decided that raising children is what they enjoyed and wanted to do. Meeting the need for affordable and quality child care services in our community has been our goal for more than 25 years.